Is Sky's Amstrad buyout anti-competitive? Sky 's recent £125 million purchase of Sir Alan Sugar's Amstrad could be referred to the Competition Commission. The Office of Fair Trading (OFT) is poised to examine the deal , and has set a 22nd August deadline for comments on the acquisition. The OFT is concerned that Sky's buyout could lessen competition in the digital set-top box market and adversely affect Amstrad's rivals - Thomson and Pace Micro . 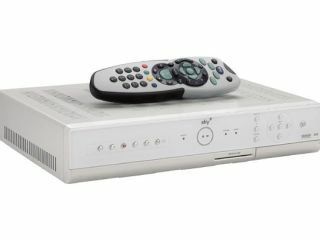 Amstrad has long supplied Sky with set-top boxes for the UK market, notably the popular DRX280 Sky+ model (pictured). Amstrad manufactured around 30 per cent of all the set-top boxes purchased by Sky. One of the principal reasons that Sky has snapped up Amstrad is that the satellite broadcaster accounted for a whopping 75 per cent of Amstrad's total revenues. Sky's proposed acquisition of Amstrad will, says the offer announcement on the Amstrad web site, "provide Sky with an in-house design and development capability, which Sky believes will deliver significant operational and financial benefits." Amstrad and Sky have reportedly been working together on new generations of Sky+ HD and multiroom Sky+ boxes.